A Shizz friend of mine has run a Tumblr blog for almost a year now that I participate in: beercanonground.tumblr.com, or just BCOG. It is, as the name suggests, a collection of photos of beer cans atop this here Earth. Here are a couple of my submissions. 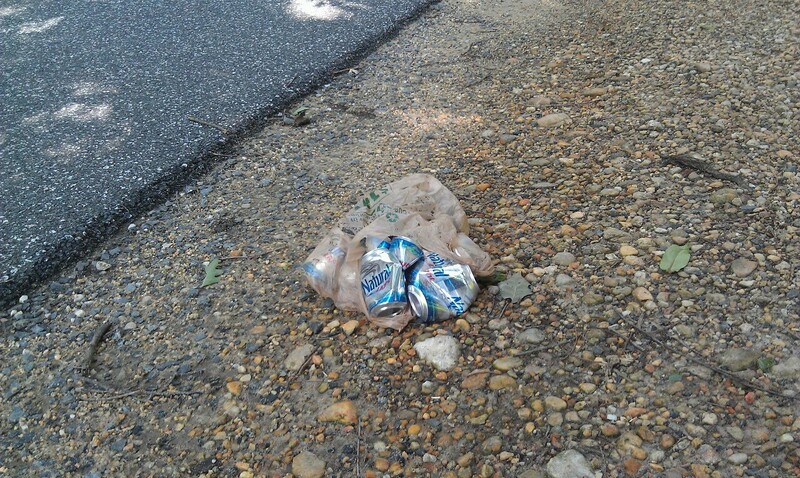 A grocery bag of Natural Light cans found on the Goucher College campus. June 26th, Towson, MD. 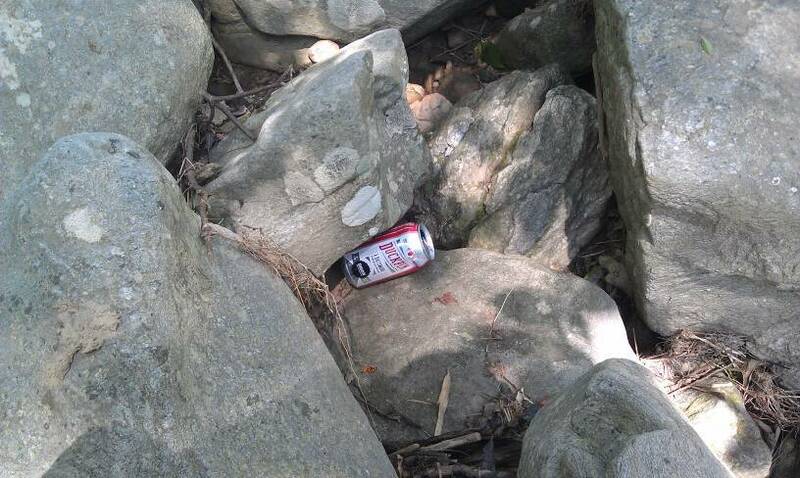 Union Craft Duckpin can wedged into some rocks in Rocks State Park. June 29th, Jarrettsville, MD. I was going up some escalators in the mall this weekend, and there I saw a USPS logo they haven’t used since I was 14. This was the first time I’ve seen this in a long time. It was the first time I saw it as it was supposed to be. Meet the USPS EagleMan, the mascot for the US Postal Service who delivers your mail. I never figured out why his collar was so fucked up. I figured it was a 70s disco collar or something. That was obviously his beak, so I just had to do a little mental acrobatics to make the rest of it fit. I’ve been interested in new types of cooking since I read Michael Pollan’s book Cooked last year. The book divides itself into the 4 classical elements as means of transforming raw materials into “cooked” food: Fire (no explanation necessary), Water (cooking in pots), Air (making leavened bread), and Earth (fermentation). Dan “Danimal Cannon” Behrens brought the band Critical Hit to the attention of my corner of the Internet (at www.TheShizz.org). Critical Hit is a list of physically attractive musicians who play covers of game music as arranged by someone who doesn’t play in the band. This isn’t yet the part that disturbs me. The fact that their covers are plastic and only 1 member of the “band” plays at a given concert is a little but not overly unnerving. What bothers me is that Danimal’s revelation that my last decade of regularly packing myself in a small room with a bunch of sweaty nerds to listen to guitars wail to Castlevania now makes me marketable demographic. OK. “World Winds” disturbs me a great deal too.